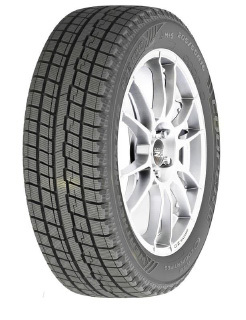 Constructed with an innovative tread pattern that features dense sipes, this tyre works to retain optimal contact with the surface of the road for substantial increases in grip. In addition, a textured tread surface creates friction so that the tyre can maintain grip on snow and ice covered roads. The WeatherMaster Ice 100 is designed to remain flexible at low temperatures thanks to a specialist compound added to the rubber.